Alexandra Roß is a food technology engineer with more than 17 years' experience in regulatory affairs, with a focus on food contact compliance. She is currently a Product Regulatory Specialist at H.B. 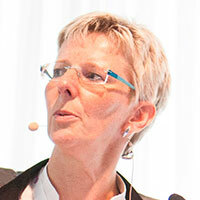 Fuller, where she is responsible for risk evaluation and compliance matters for packaging adhesives in Europe. Prior to this, she was responsible for regulatory affairs for a leading flexible packaging producer. Alexandra has been a member of FEICA's Paper and Packaging Technical Working Group since 2009 and Chair of the Group since 2015.